Wow, this home sparkles and has a RARE MOTHER IN LAW SUITE that is a second master on the main level. – This fantastic ADDITION on the MAIN FLOOR has its own ENTRANCE and a full bath, plus plumbing in place for a kitchenette. Works well for an aging parent, teenager, flex space or just the main master that you deserve! Nice BAMBOO flooring and ceramic tile in the bath make it really shine! A door to the covered WRAPAROUND FRONT PORCH makes for easy access to hanging out in the shade. This is a big house for a big family with generous space – 5 BEDROOMS with 3 FULL BATHS with two common areas for the family. Lots of FRESH PAINT and all NEW CARPET make the rest of the bedrooms move in ready and the 4th bedroom off the downstairs BONUS room / den is extra-large with spacious closet. Note the newer LAMINATE FLOORING that runs through the kitchen, eat-in area, and foyer. Kitchen has stainless steel FRIDGE and STAINLESS-STEEL Bosch dishwasher which is super quiet. There is plenty of counter space for the busy chef here, with lot of natural light from windows and door to the back yard. WINDOWS have been updated with thermal to keep the utility bills down - you will enjoy the extra quietness they provide. Upstairs in the master bedroom, an UPDATED MASTER BATH features a nice tub/shower with ceramic tile surround - looks great. Out back is an oasis around the POOL with plenty of deck space and a great shady spot to hang out on the hot days. This is a large lot with good access through a nice WIDE GATE on wheels plus a pedestrian gate. Back yard is fully FENCED and has a shed out back to give you extra storage. Got cars? Check out all the extra parking here – the driveway is double width and goes all the ways to the gate, so you have lots of space. New architectural roof going on September of 2017. HVAC condenser replaced in 2012. Pool pump new 2017. 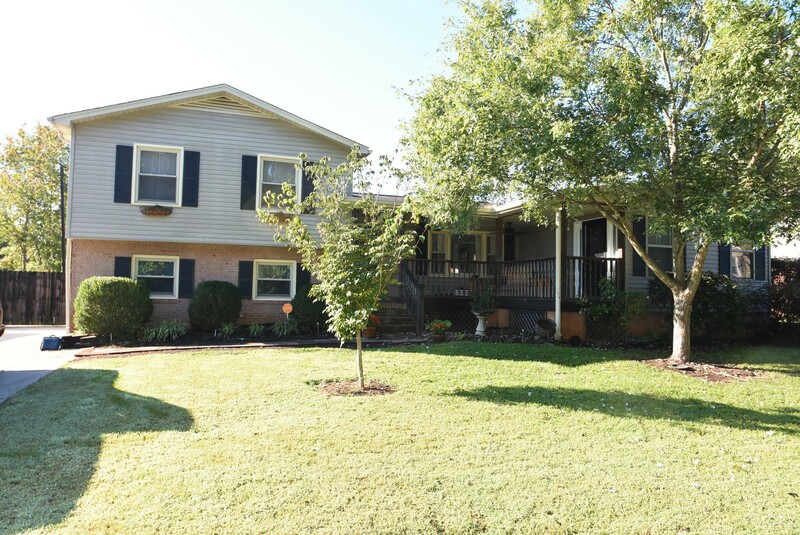 Great location with quick access to I-385, Fairview Road shopping, Good schools all around and close to Plain Elementary.